You may be thinking: What’s a Liebster Award? It is a Peer-to-Peer (P2P) award that is given by bloggers to other bloggers in recognition of their contributions to the blogosphere. It is a way for one blogger to say to another ‘Hey, I really like your journey and I would love for other people to know more about you and your blog.’ It also provides an opportunity for other bloggers to create new relationships and get to know each other better. It is mainly aimed at those starting out, but it need not be. This is why for me, the Liebster Award represents the truest nature of P2P giving, by creating something of common value that can be shared. I am sincerely grateful to Wayne from Tao West Ventures for nominating me! Here’s to the world of discovering striking new stories of learning that inspire! While there are no hard and fast rules, the award generally requires you to answer 11 questions by the person that nominated you. Then in true P2P fashion, you too nominate a minimum of five other bloggers with your own set of 11 questions. 1. Mention/thank the blogger who nominated you. 3. Answer the 11 questions presented. 5. Pose 11 questions of your own. 6. Notify bloggers that they have been nominated. If I’ve nominated you, my list of 11 questions for you is listed at the end of the post. I trust that you will all enjoy this blog post, my heartfelt answers to these questions. So without further ado let’s begin! 1. What is your ultimate guilty pleasure? I’ve never been made to feel that eating food I enjoy requires me to feel guilty afterwards. However, if I had to pick one food item that I just could not live without, it would have to be cucumber! It may sound weird, but I have loved cucumbers since I was born! I eat it with everything and once I even ate it with ice-cream. I have been known to keep simply cutting them up and eating them until there is no more in the fridge! I’ll even consider it a meal in itself. When my family and I were on our 2 month road trip of Australia, we were honoured to be invited to spend a week on the sacred Aboriginal APY Lands by a close family friend’s mother, who had married an Aboriginal Elder in the community. Their house was located 100 Kilometres (62 Miles) from the closest store that sold fresh fruit and vegetables. We ran out of cucumber on the 2nd day, and we weren’t going to the stores for another three days. I had to survive on apple! 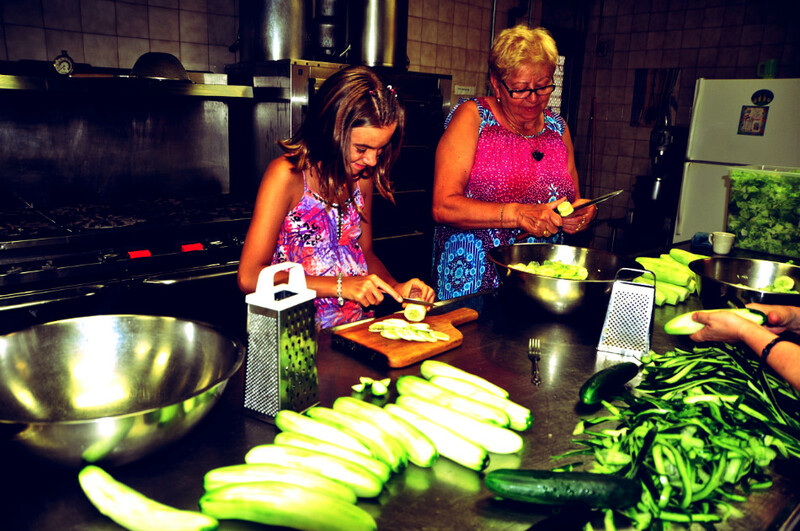 When finally making it to the store, we bought all their cucumbers, every single last one! Volunteering to help out at a community event is easy when there are cucumbers for sustenance! 2. 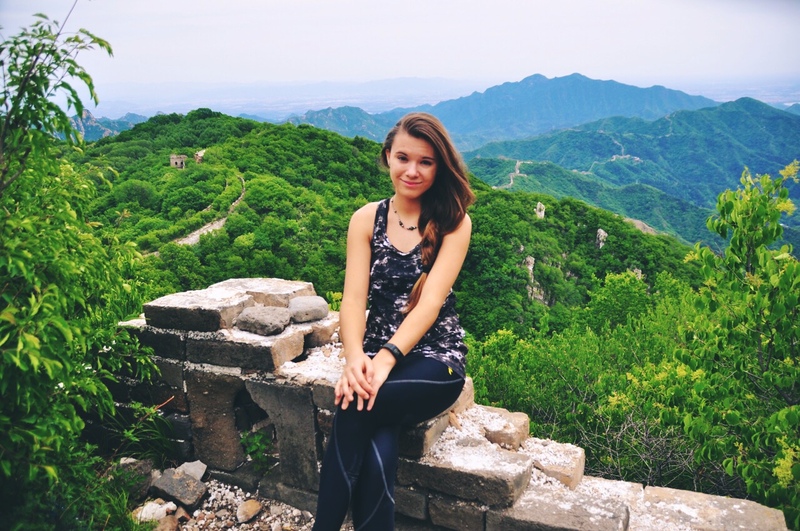 What is the most dangerous place (or situation) that you’ve been to while traveling? Danger is relative. It is in the mind of the beholder. In all the time we’ve travelled as a family, we’ve never encountered any situation that has brought us trouble. Today people seek danger as if it is some sort of thrill ride or rite of passage. Personally I prefer adventure and the excitement that it brings. A few examples of this excitement includes standing at 5000 meters in the Peruvian Andes Mountains, galloping at 60 Kilometres per hour (37 Miles per hour) on my tour horse ‘Increide’ in Ecuador, tobogganing down one of Transylvania’s biggest city mountains in the middle of winter in -15 Celsius (5 Fahrenheit) and walking through one of the world’s deepest canyon ravines near Fethiye, Turkey. Many people let fear rule their whole lives and even worse, it stops them from becoming the adventurers they truly are in their hearts. We have explored the places we have visited with an open mind and no fear. This doesn’t mean I don’t like thrills. Bungee Jumping is still very high on my things to do list! 3. What’s your most favourite travel hack? I’ve found that having a smile on your face can go a long way in foreign countries. Think about it, don’t you get a warm feeling in your stomach when someone smiles a genuine, joyful smile towards you? Locals were always wanting to help us when we had taken a wrong turn or didn’t know what the correct charge price was for a taxi cab. They always had a few minutes to give us accurate directions, and many would stay for a few minutes more to have their curious questions about our travels answered. Another “travel hack” I would recommend is always to make an effort to try to speak the local language. Even if your accent is terrible and you just asked “Where is the toy store?” instead of “Where is the toilet?”, many locals will appreciate the fact that you are making an effort to try and communicate with them in their language. You don’t need fancy gadgets to help you out; remember that the simplest things like your character and feelings as a human being will be enough to help you out in many ways. 4. If you could give one piece of advice to the 16-year-old version of you, what would it be? 5. What is the one thing that you love to nerd out about? If I am interested in a topic that has caught my attention, then I’ll go forth and fully explore that subject in all its depth. This is one of the freedoms of world-schooling that I am extremely grateful for. I learn the things that interest me the most in a relaxed and fun environment. This allows my passions, likes or dislikes to grow without intervention. One example is that I am extremely drawn to learning about historical royalty. I have drawn up countless family trees, read an immense amount of books and even had the chance to travel to the places I had read and learned about. I had the opportunity to actually stand in the midst of these magical ruins that I treasured deep in my heart. These experiences illustrate for me the real importance of giving children the freedom to explore their self-directed learning desires and I’ve found that they will then follow through with their passions with a strong streak of zealous energy that is hard to find in the traditional schooling system today. Many might say that if it were up to a child to educate themselves in a way they would want, the children would do nothing all day but waste time, but what they don’t realise is that these children would find a renewed interest in learning because they are immersing themselves in what they love. This is a topic that I love to discuss, and I welcome the chance to talk with anyone who may have any questions. 6. What place have you travelled to that’s had the greatest impact on you, and why? Having the chance to explore the Earth at a young age has definitely made its mark. Setting off on a world journey with no end date has given me the chance to have countless mind opening and life changing experiences, all while teaching me extremely valuable life lessons. Being grateful for what you have and not taking anything for granted, is what I learnt while traveling through the countries of South America and especially while Living with The Descendants of The Incas in the high Andes mountains of Peru. These experiences also taught me that being generous, kind and not afraid to give to someone in need, even if your own supplies are extremely limited , was always the right choice to make. I found myself more and more aware of these lessons throughout our travels, and especially through my parents’ project of EnergeticXchange, which works on the basis that for every need out there, there is a corresponding offering, which can be met and received. The importance of friendship, which I learnt just about everywhere, lives in the priceless connections I now have all over the world. From a farm in Pennsylvania to a summer camp in Hungary, from the pueblo valleys of Ecuador to the seaside villages of Morocco, these invaluable bonds are ties that now stretch all over the Earth and have checkpoints in the hearts of every single one of my friends and I. I do believe that stepping out of my comfort zone and into a world of self-exploration, a world that is forever changing and evolving, has given me the chance to truly learn what the word ‘discovery’ means. 7. What is your least favourite travel destination? There have been certain experiences in the countries I have traveled through that have not been completely positive, but this does not taint any part of that certain country in my eyes. We travel because we choose to experience the cultures, places and people with an open mind and heart. I experience so many more beautiful things when I look without judging and see without condemning. Every country has its unique and wonderful culture, mixed with a deep and moving history. The people I have had the chance to meet have always welcomed me into their country with open arms and smiles and one day I hope I can do the same with the people that I now consider part of my family: my travel family. I feel a connection with every piece of Earth that I have set foot on and I have a special place in my heart for every single country I have explored. I can truly say that I have loved traveling from the very moment I began and there is nowhere that I have traveled to that could be polluted by negative energies and thoughts. What it really comes down to is how willing you are to let your judgements go and perceive the true beauty that is waiting for every one of us to go out and discover. 8. What is the best street food eaten on your travels? I have enjoyed many seasonal and spicy snacks bought from food trucks, mouthwatering meals smoking on a hot grill under a street tent and divine desserts decorated delightfully, pulled fresh and hot from a small street oven. Out of all of these, I would have to say the most delicious deal of all, the chosen one that has crowned the king of the best street food I have eaten on my travels is… The Black Bean, Parmesan and Spinach Empanada that I enjoyed after buying it freshly baked from the local Hare Krishna family from Vilcabamba, Ecuador. The spices collided with my senses and I found myself counting the hours until the next time the Empanada box bearer would make his run. I could feel it in my bones when the food that I regarded as gold was on the same street as I. In fact, I do believe that the Empanadas were one of the reasons why we extended our time in Vilcabamba from two weeks to six. We simply couldn’t bear to go without eating just one more! 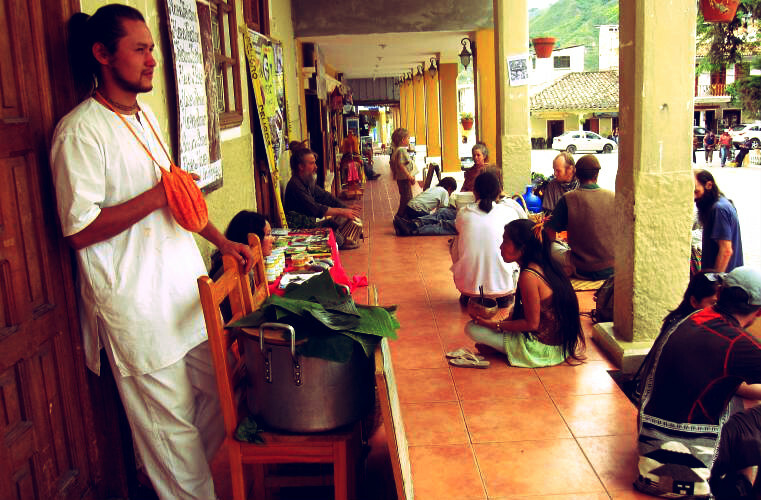 😀 So if you’re ever on the streets of Vilcabamba, in the province of Loja in Ecuador, tell the Hare Krishna Family that I sent you and that I am thinking of them with much love in my heart and belly. Or just keep your eyes open for the large plastic box packed to the brim with perfection. 9. What place have you always dreamed of visiting? 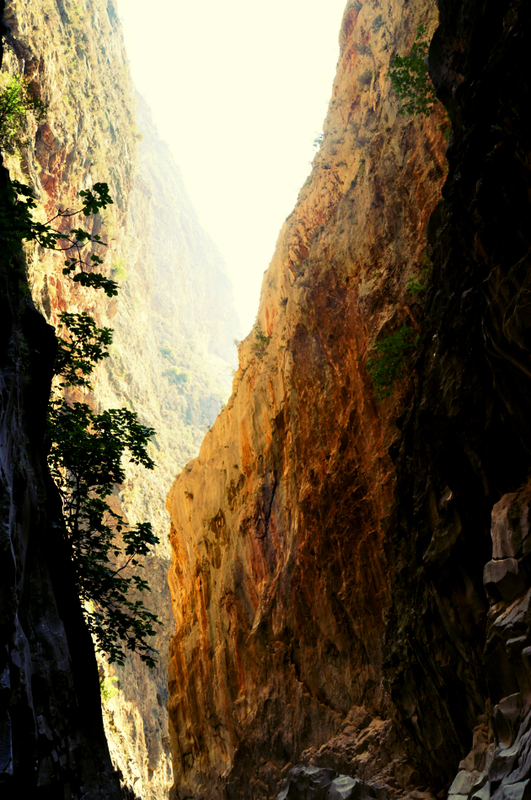 I have been very fortunate to be able to explore so many places I have dreamed about. While traveling through England and Wales, I felt, with a deep sense of certainty, that one of my lifelong dreams were coming true. I am drawn by some unearthly relationship to these countries’ historical royalty. 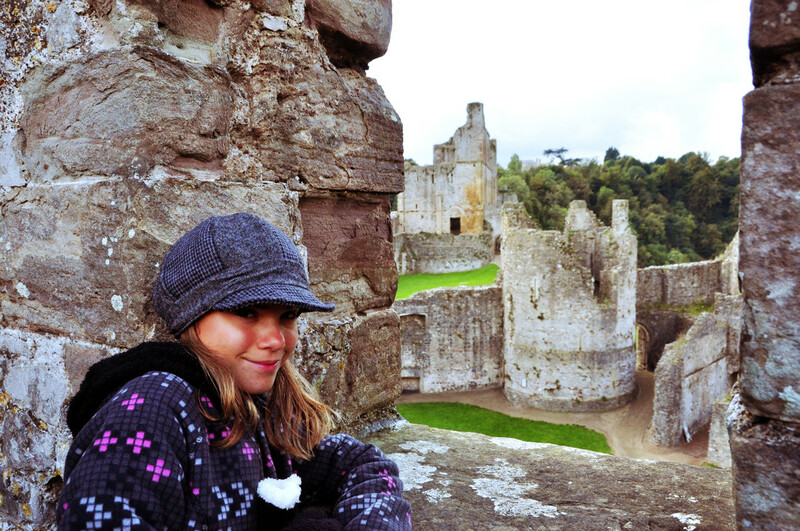 While walking through one of the castles in Wales, I felt like I was actually at home and it was food for my soul! I am very thankful for all the opportunities my family has created to fulfil these dreams. My dreams now stretch across the narrow channel from England to France, where many more ancient castles, forts and palaces are calling my name. 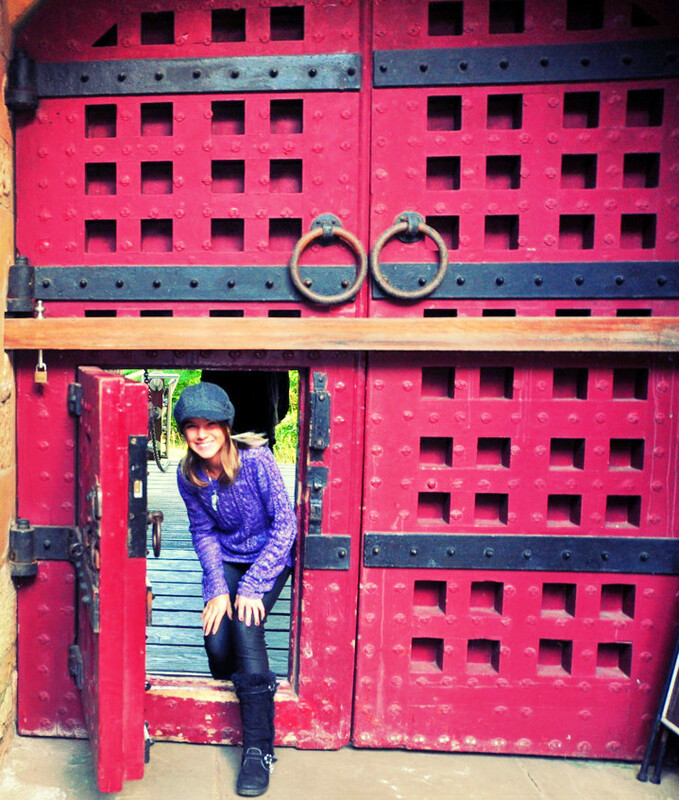 Entering The Red Castle (Castle Coch) near Cardiff, Wales, built on the foundations of a medieval fortress. 10. What is the best thing anyone has said about your blog? I treasure deep in my heart the comments I received from fellow bloggers saying that I ‘have such beautiful writing with a great talent for the written language’ (Molly Kate – Things that Keep you Dreaming), that my ‘ability to reflect and process my experiences are beyond my years’ (Wayne – Tao West Ventures), and that my ‘writing is impressive’ (Kristin – Be My Travel Muse). But I think what really affected me the most were the comments I received from girls younger than me. They said to me that I ‘was an inspiration’ to them and that ‘they loved my blog and couldn’t wait to read my book,’ ‘to start traveling and write a blog of their own.’ It was when reading these comments that I realised that I have a responsibility to invest my most authentic and best effort into everything that I write and all the experiences that I share. It hit home that people younger than I, are being inspired by my writing and the experiences I share through my blog and it is encouraging them to take their first steps to follow their dreams. So, it’s not just the question for me of what was the best thing that was said about my blog, but rather an awareness, a new understanding and appreciation for how what we say or do in life, even the simplest of things, can have such an impactful imprint on the minds of others. It has given me a greater appreciation of how we can, with the simplest of efforts, uplift and inspire each other. 11. Where do you call home and what do you enjoy the most about being there? It may sound strange, but the word home has a very different term for me. I may have been born in Australia and lived there until I was 10, but that home shares the same name as the 23 other countries I have traveled to. When you travel, you create a bond between all the people you have met and all the places you have seen. It’s like having a golden and glowing unbreakable chain link that can be seen from the moon itself. This connection stretches around the world just like a mobile phone signal and while at some points the connection can become shaky or pixelated, it never cuts out. I have created a home wherever I have traveled and I look forward to creating many, many more. For me, home is where my heart is, and that is everywhere! 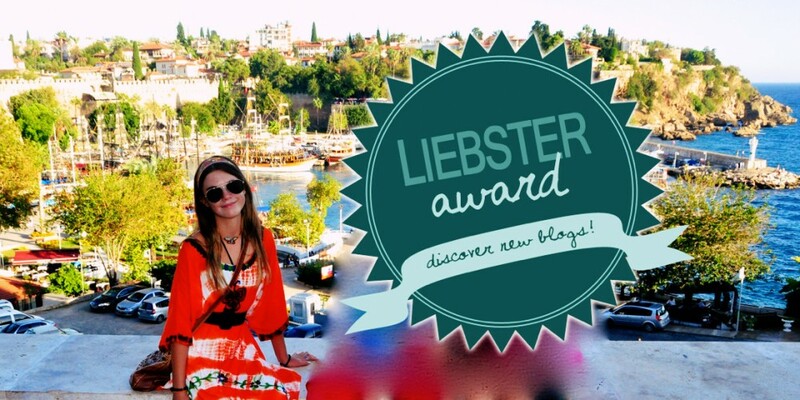 Now I’d like to return the favour and nominate the following bloggers for the Liebster Award! What was one of the most inspiring experiences on your travels and why? Where on your travels have you felt the biggest cultural impact and why? What is your favourite travel hack? What is the best street food you have eaten on your travels? What is your greatest fear and how do you plan to overcome it? What was one of the most humorous experiences on your travels? What is the best thing anyone has said about your blog? Where do you call home and what do you enjoy most about being there? What is it that you miss the most while traveling? What a fun read Reka! Great point on offering simple human gestures like a smile. But more importantly that the gestures be genuine and an extension of ourselves. To question #4, I forgot that you haven’t turned 16 yet lol! Look forward to more of your adventures. Happy and safe travels! Thank you Wayne, it’s been wonderful connecting with you and I too look forward to reading more about your ventures. Southeast Asia is definitely on our list and we would love to see more of your unique insights on the places, people, cultures and experiences you’re are blessed to encounter.